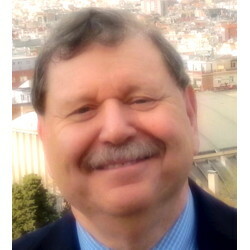 Marc Jason Gilbert received a Ph.D. in history from UCLA in 1978 and for many years thereafter was Professor of History and co-Director of programs in South and Southeast Asia in the University System of Georgia. Since 2006, he has been the holder of the National Endowment for the Humanities-supported Endowed Chair in World History at Hawai’i Pacific University. Since 2008, he has been the editor of the e-journal World History Connected, which now reaches 1.8 million readers of two articles and 6 million visitors to the journal’s website. From the outset of his career, he has sought to bring a global dimension to South and Southeast Asian history in numerous articles, chapters in books and monographs. Books include South Asia in World History (2017); World Civilizations: The Global Experience, with Peter N. Stearns, Michael Adas and Stuart Schwartz, now in its 7th edition (2015); Cross-Cultural Encounters in Modern World History, with Jon Davidann (2013); and The Tet Offensive, with William Head (1996). He has also edited and contributed to How the North Won the Vietnam War (Palgrave, 2002), The Vietnam War on Campus: Other Voices More Distant Drums (2000), and The Vietnam War: Teaching Approaches and Resources (1991). He is a past President of the World History Association and of the Southeast Conference of the Association of Asian Studies, and organizer international academic conferences in Cambodia, China, Vietnam and in the United States.